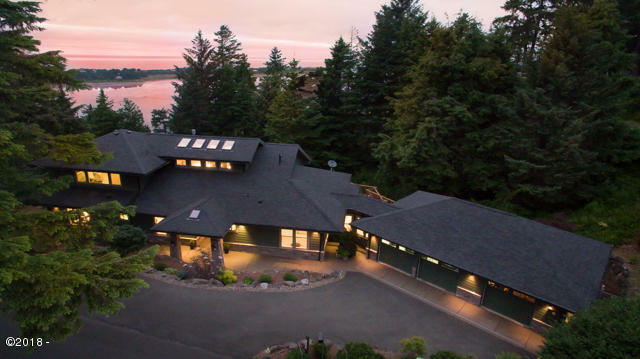 Remarkable home, well-situated for privacy and peeks of Ocean & Bay views. Two master bedrooms on main, open living room to kitchen with bar area and easy access to deck make this home great for entertaining. Downstairs features full theater setting, pool, shuffle board and poker tables. This custom home's features are endless - see attached documents.